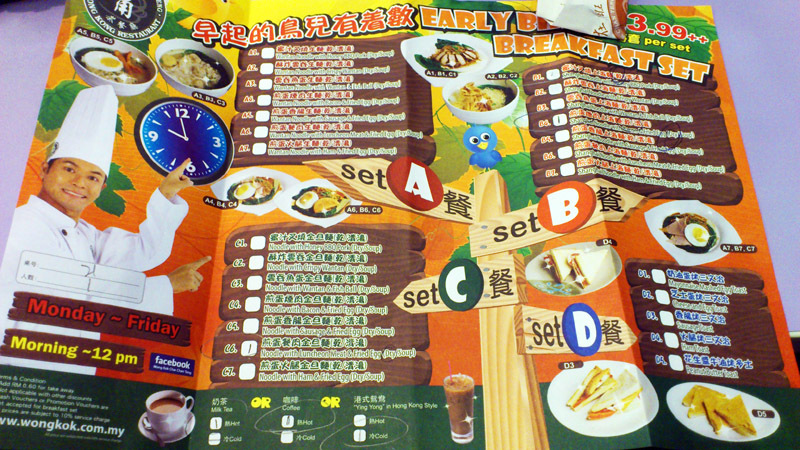 Although this promotion has been around for quite awhile (or more than a year, haha), it is time to recommend this after our revisit recently, looking at the improvement in overall food quality, taste and value, after comparing with many many overpriced and yet substandard breakfast sets. Plus, the Wong Kok ambiance is always cooling, comfy and not too crowded which are perfect for a chat. 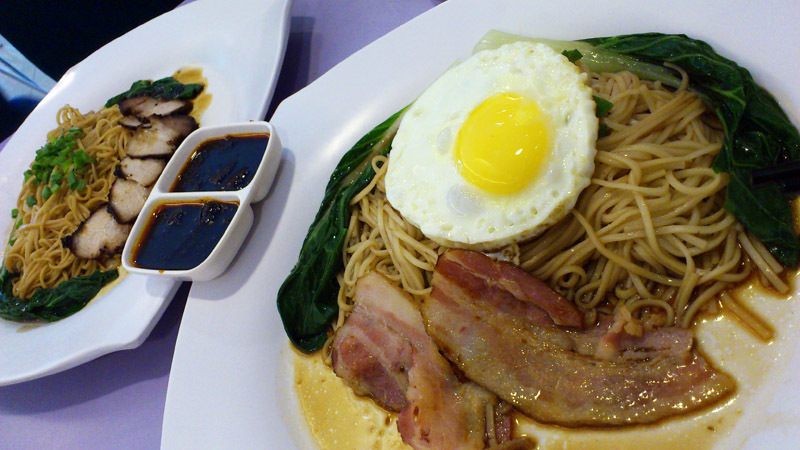 This entry was posted on Friday, December 16th, 2011 at 7:32 pm	and is filed under Cafes, Food Promo, Heavenly Klang Valley Food, Set Breakfast. You can follow any responses to this entry through the RSS 2.0 feed. You can leave a response, or trackback from your own site.